Almond cake layered with a crunchy, nut-filled pale green pistachio icing. Soft white coconut cake brushed with Bacardi light rum syrup and filled with lime-coconut icing. A great island flavor for Spring/Summer. Perfect for adding a little Eastern flair, this Southeast Asian-inspired cardamom chocolate cake is filled with vanilla bean icing. 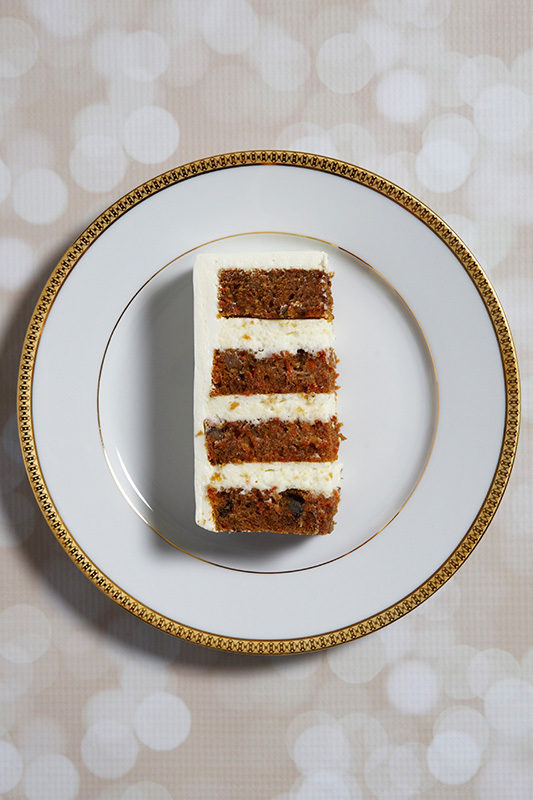 Our modern take on the traditional Carrot Cake is made with a blend of four cinnamon varieties, studded with hand-chopped/salted/roasted walnuts, and iced with cream cheese icing blended with a touch of lemon zest. Champagne cake layered with raspberry puree, then filled with raspberry buttercream and deep chocolate ganache. 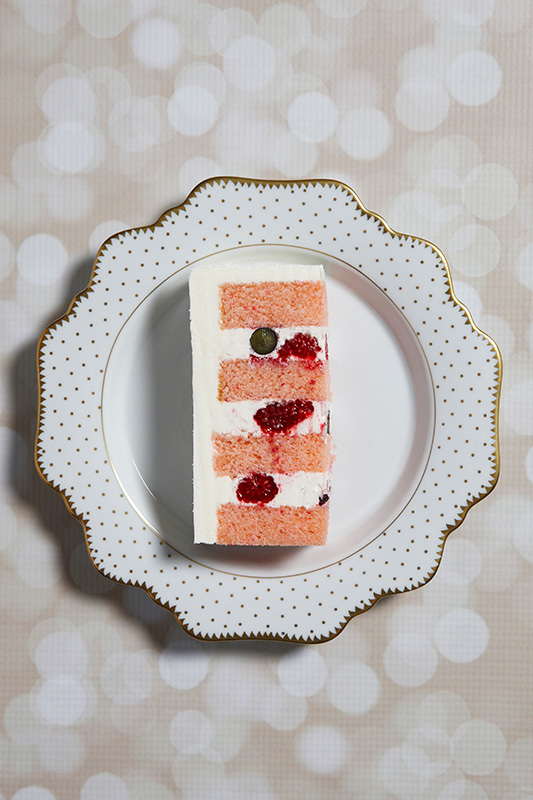 Subtly-flavored Champagne cake layered with strawberry compote and strawberry puree buttercream. Our chocolate cake is layered with deep pink raspberry puree buttercream. A great upscale alternative to yellow cake with chocolate icing, this cake features champagne cake iced with hazelnut buttercream and chocolate ganache. Lemon cake soaked with Grand Marnier syrup, then iced with fresh blood orange icing. A bright, fresh flavor combination. Lemon cake brushed with tart red raspbery puree, then iced with fresh raspberry buttercream icing. Perfect for Spring! Chocolate cake is layered with bold Tiramisu-Cappuccino icing. Wonderful for a night wedding. Almond cake soaked with coffee-dark rum syrup, then filled with French mocha buttercream and chocolate ganache. Decadent! 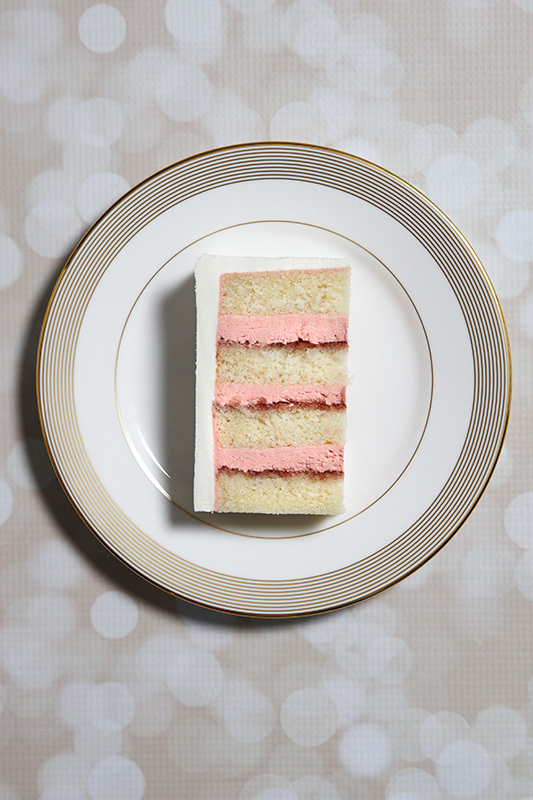 A pale pink cake made with white chocolate, this soft, light cake is layered with fresh vanilla bean icing. 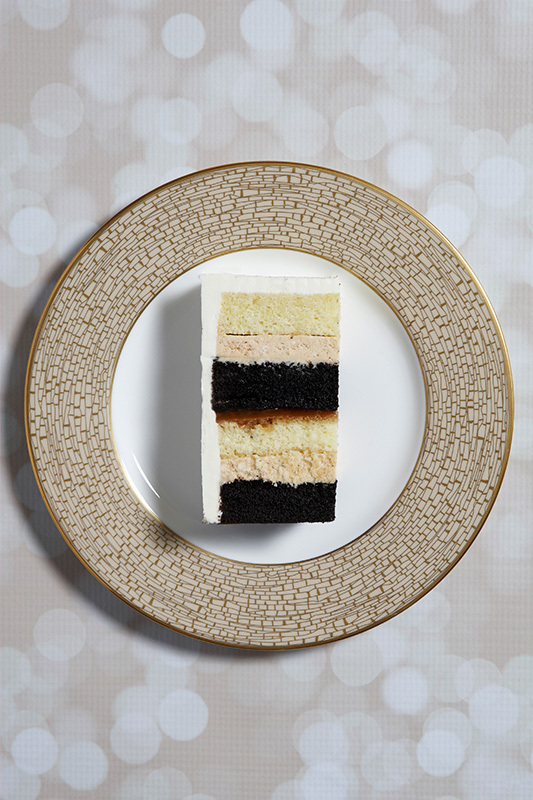 Chocolate and vanilla lovers alike will find something to love in the Tuxedo cake. 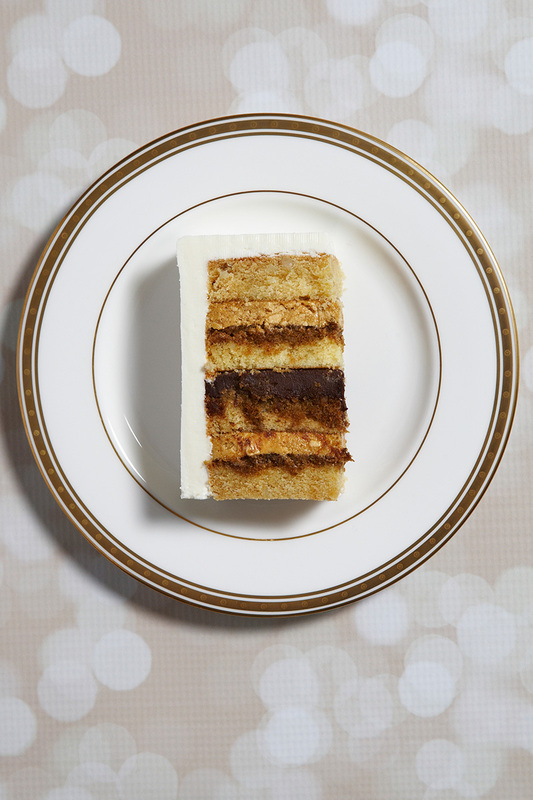 Four alternating layers of dark chocolate and white vanilla cake are filled with caramel buttercream and a layer of pure fresh caramel.